We are putting forward a huge gamut Yellow Handmade Diary to the clients widespread all across the country. 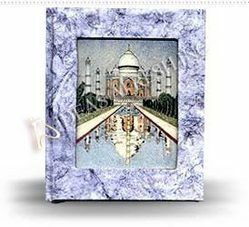 A great piece of art that replicates Taj Mahal, which has been made using semi-precious stones. (Sizes and Designs may vary as they are hand made). 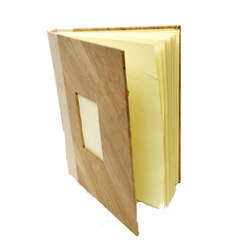 Arman paper Board also deals in A diary is a record with discrete entries arranged by date reporting on what has happened over the course of a day or other period. We offer handmade paper products, which are blended with contemporary designs. These handmade paper products are used as household and decorative items. - Hand tooled blank leather journal 150 pages, with cord. 3 x 5". Number of pages vary slightly. Leather, handmade paper. - This can be a very beautiful gift for your loved ones or yourself.